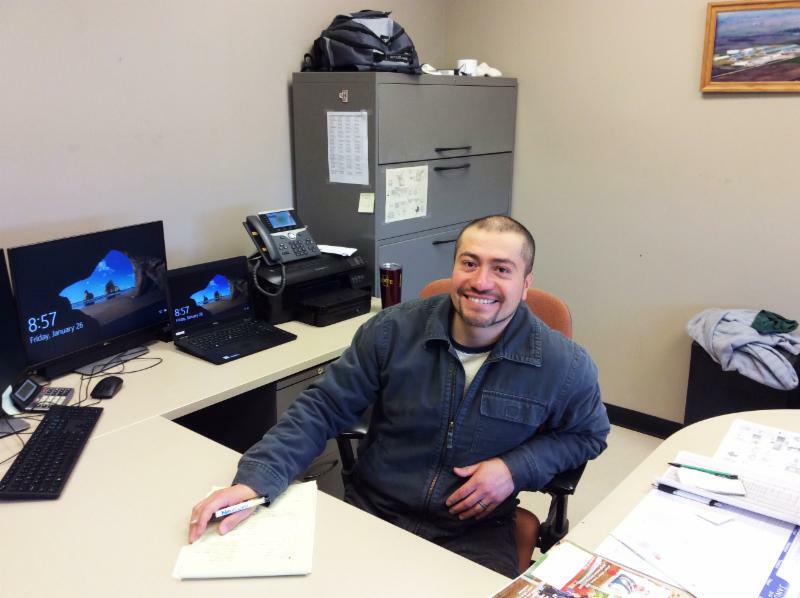 Miguel Rangel is the new Dairy Farm Manager at the Dairy Teaching Farm. Miguel has over 15 years working in the Dairy industry. He grew up in Mexico City and has fond memories of visiting his grandfather's dairy farm on the weekends. Miguel attended National Autonomous University of Mexico in Mexico City where he obtained a degree in Veterinary Medicine. Miguel worked for the reproduction department while attending college and focused on reproduction and cow health. A few years later Miguel took a position with Milk Unlimited Dairy Farm located in Atlantic, Iowa. He worked there 6 years practicing vet work on 3,500 cows. He then transferred to AVMC and started a project that he developed - a calf nursery in Audubon, Iowa - and worked there another 6 years. Miguel is excited about working at ISU and says he is thrilled to work at such a renowned university and have an impact in the dairy industry. It is his hopes that the Dairy Teaching Farm will become an example for dairy farms to follow. Miguel says "I understand the significance of teaching future professionals and being an important part for development of new techniques as well as performing research in the veterinary field." Miguel lives in Nevada, Iowa with his wife Mandy and daughter Piper.